The use of historic city centers for touristic purposes, i.e. mass gatherings events (MEs), needs a multi-hazard approach which should jointly consider building heritage and hosted individuals’ emergency safety, by including effects of individuals’ behaviors to provide effective riskreduction strategies (i.e. : interventions on critical Building Heritage; outdoor spaces layout reorganization; emergency management; wayfinding systems;). This work evidences the capabilities of such approach in case of MEs-earthquake emergency combinations, by taking advantaging of a validated evacuation simulator, through a case-study application. BERNARDINI, Gabriele et al. Multi-hazard emergency management in historical centers: methods and tools for increasing mass-gathering safety in case of earthquake. Tema: Technology, Engineering, Materials and Architecture, [S.l. ], v. 4, n. 2, p. 120-133, nov. 2018. ISSN 2421-4574. Available at: <http://artecweb.org/ojs2/index.php/TeMA/article/view/190>. Date accessed: 23 apr. 2019. doi: https://doi.org/10.17410/tema.v4i2.190. Papers published in Tema: Technology, Engineering, Materials and Architecture are protected by copyright, which is retained by the authors. Authors control translation and reproduction rights to their works published in Tema:Tempo,Materia,Architettura. 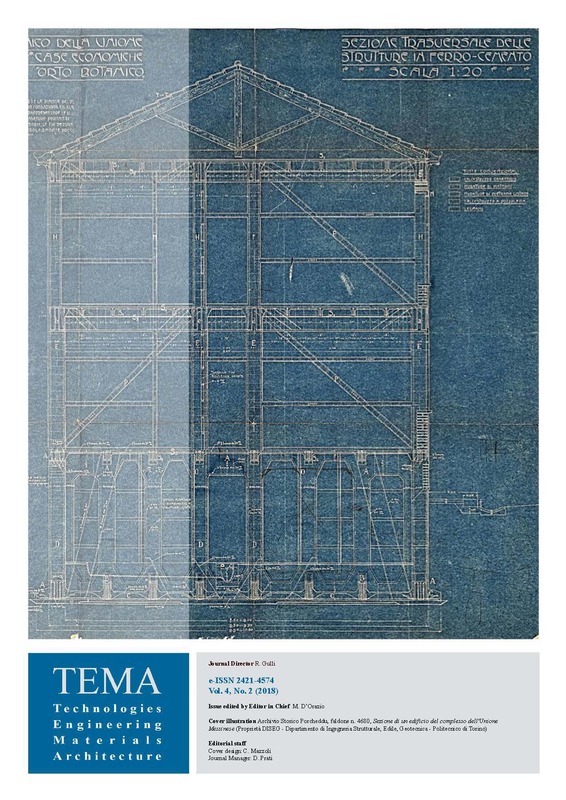 Permission of the author must be secured if a paper originally published in Tema:Tempo,Materia,Architettura is being considered for reprinting or translation. Authors are expected to ensure that any reprinting or translation contains a reference or pointer to the original paper published in Tema: Technology, Engineering, Materials and Architecture. Authors submitting papers to Tema: Technology, Engineering, Materials and Architecture do so with the understanding that with Internet publishing authors and publishers do not always have the means to prevent unauthorized copying or editing of copyrighted works. Downloads of papers in Tema: Technology, Engineering, Materials and Architecture are permitted for personal and educational use only. Commercial use requires explicit permission from the Editor-in-Chief. We use a CC Attribution-NonCommercial-ShareAlike license.